Atty. 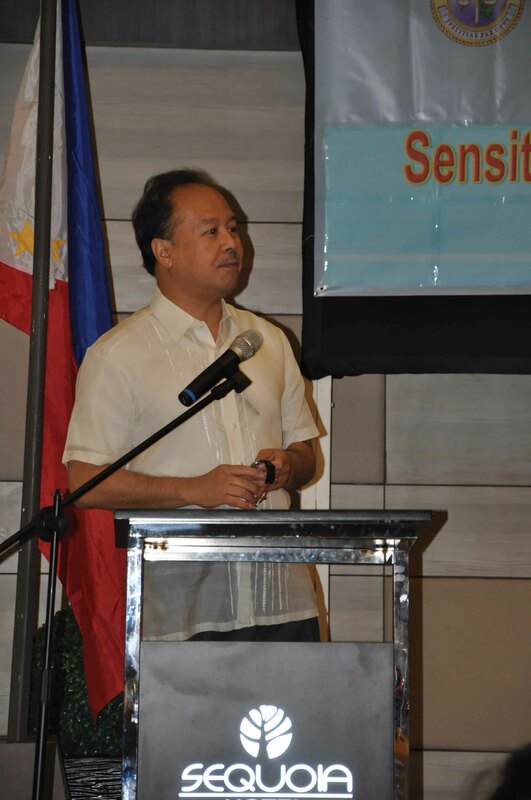 Raul Pangalangan, publisher of Inquirer and Dean of the University of the Philippines College of Law led the pool of speakers and presenters during the Disability Awareness and Sensitivity Workshop on Access to Justice for persons with disabilities, participated in by Public Attorneys and Prosecutors. He gave an in depth presentation of disability laws and other policies, the UNCRPD, equality, non-discrimination and the rights-based approach. Thirty-seven (37) prosecutors and public attorneys from 16 cities of the National Capital Region recently signed a “Pledge of Commitment” to support the advocacy on “Make the Rights Real for Persons with Disabilities” and ensure protection of their rights on access to justice. 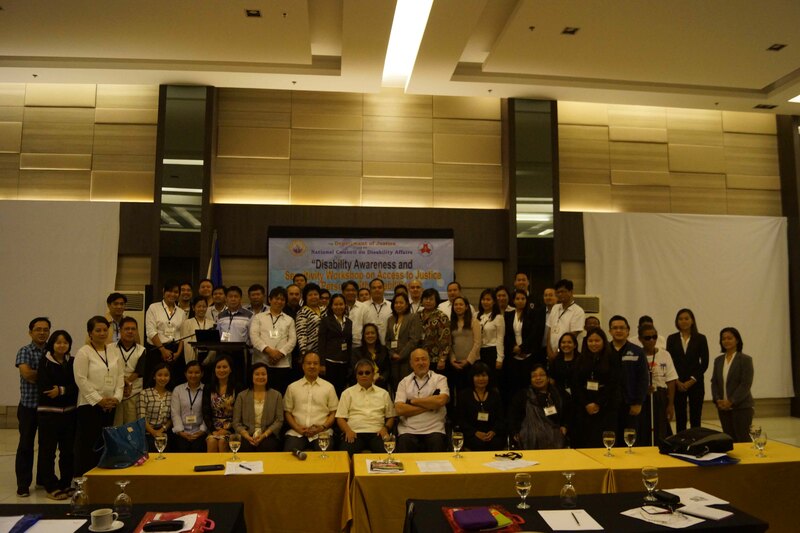 This was the highlight of the “Disability Awareness and Sensitivity Workshop on Access to Justice for Persons with Disabilities” spearheaded by the Department of Justice, in partnership with the National Council on Disability Affairs, held on July 15-16, 2014 at Sequoia Hotel, Mother Ignacio Avenue, Quezon City. 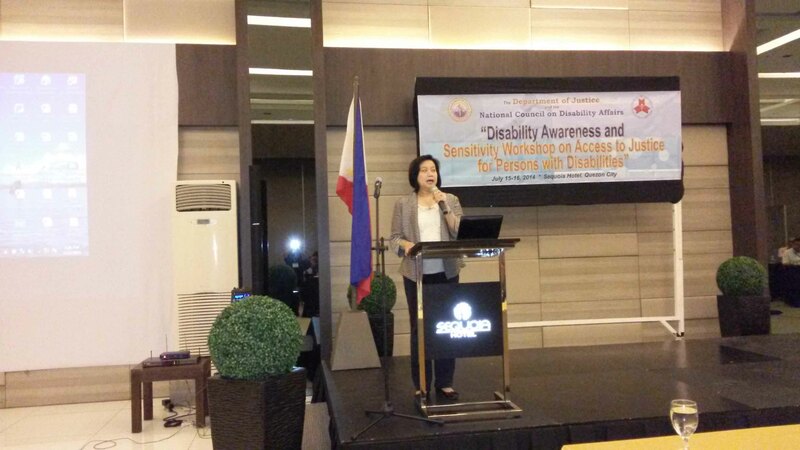 In her opening remarks, Undersecretary Leah C. Tanodra-Armamento said that the activity is an offshoot of the DOJ’s chairmanship of the 2013 National Disability Prevention and Rehabilitation (NDPR) Week and part of the agency’s commitment as Chair of the NCDA Sub-Committee on Access to Justice and Anti-Discrimination. A series of lecture- workshops will be conducted in every region for public attorneys and prosecutors in 2014-2015. Prior to her presentation, NCDA Acting Executive Director Carmen Reyes-Zubiaga surprised the participants by asking four prosecutors to bring her up on stage since there was no ramp provided by the hotel. It was first-hand experience for them in providing reasonable accommodation to person who uses wheelchairs. She enlightened the participants in her presentation on “Disability Perspective: Understanding the Dynamics of Persons with Disabilities” by giving an overview of disability classification, general principles of disability inclusive development based on UNCRPD and how it relates to access to justice. Some public attorney and prosecutors helped in bringing Director Carmen Zubiaga up to the stage of the venue. Other speakers discussed the needs of specific disability groups such as people who are blind, deaf, with physical disabilities and with psychosocial disabilities, to have fair access to justice. (a) Atty. Reynaldo C. Reyes, Jr., Corporate Secretary of Down Syndrome Association of the Philippines on “Legal Concerns of People with Intellectual and Developmental Disabilities: Making their Rights Real”; (b) Dr. Liza B. Martinez, Ph.D., Director of the Philippine Deaf Resource Center/Deaf Resources Philippines on “Access to Justice for the deaf, Revisiting Realities and Issues”; (c) Ms. Milagros B. Wayno, Rehabilitation Specialist of Resources for the Blind on “Understanding Visual Impairment”, (d) Atty. Rodolfo Noel S. Quimbo, Director General of the Senate’s Blue Ribbon Oversight Office Management on “Equal Access to Justice”; and (e) Ms. Janice S. Cambri, Member of the Philippine Coalition on UN Convention on the Rights of Persons with Disabilities on “Assisting Persons with Psychosocial Disability in the Judicial System”. Notably, participants took great interest of the philosophy shared by Prof. Pangalanan, to wit, “Those who are fully abled today are just temporarily. 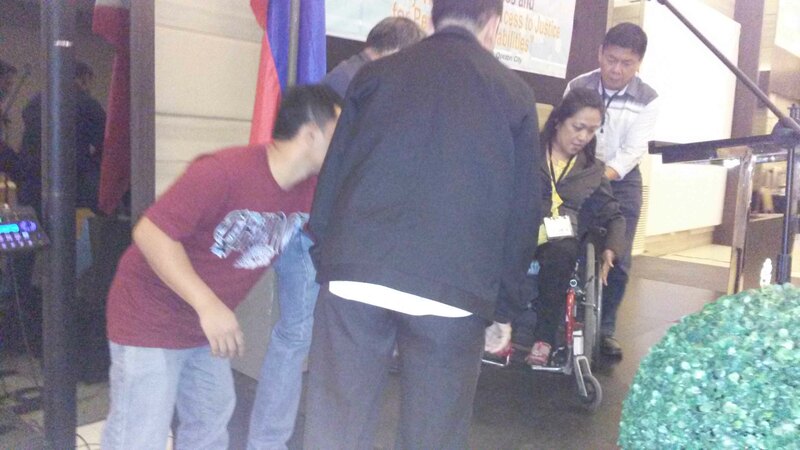 Inevitably, everybody will get into the stage in our lives that we will realize that the respect that we are advocating now is the claim that we will also have to make at sometimes of our lives.” As a continuous commitment to provide PWDs access to justice, the DOJ gave assurance that similar workshops will be cascaded to other regions of the country.